Summary: This article by guest author Franz Gayl (Major, USMC, retired) looks ahead, beyond Israel’s current moment in the sun. They face a divided Arab people and even more fragmented Islamic societies, which they overawe by their massive military strength — exercised in the shadow of the world’s hyperpower. But these are ephemeral advantages; meanwhile the tides run against Israel. Invisibly, quietly, decisively. Deteriorating demographics, increasingly powerful enemies, and ever-growing hatred. or an analysis of Israel’s grand strategy, showing why it might lose, see The Fate of Israel. The conflict in Gaza is an increasingly lethal indicator that the U.S. must begin to plan for the evacuation of Israel. Our collective inability to prevent barbarism by military and diplomatic means has become obvious. ISIS gains are just a regional prelude. WMD proliferation also continues, and a broadly nuclear-armed Mideast is not unthinkable in coming years. Concurrently, unconstrained non-state enemies of Israel are becoming destructively super-empowered. The exponential progress of multi-purpose advanced technologies is relentless. As we approach the middle of the 21st Century the most dangerous weapons will find their way into the hands of the least rational enemies of Israel. Some have called this assessment pessimistic, even naïve. But it it is realistic, based on real trends — historical, current, and forward-projected. The writing is on the wall, and we must plan and prepare a U.S. backdoor for the Israeli people to avoid a second Holocaust. Including the West Bank, Israel comprises only 8,522 square miles, a strip of land area smaller than New Jersey. The preponderance her nearly 8 million citizens are concentrated in the northern half of Israel aggravating vulnerability through urbanization and high population density. Finally, she is surrounded by unfriendly neighbors, and antagonisms are growing. In a conflict she is constrained to internal lines, and her only relief is seaward. Israel has survived past conventional military conflicts benefiting from internal lines and maneuver finesse. Unfortunately, against surface, air, or high altitude electromagnetic pulse nuclear weapons attacks her conventional finesse is meaningless. Given Iran’s nuclear bomb progress and growing Palestinian discontent, an existential threat to Israel has arrived, and it is time to plan for contingencies. Infiltration was the terrorist technique favored during the 1st and 2nd Intifadas. If similar terrorists possessed nuclear bombs today air bursts like Hiroshima or Nagasaki could be ruled out in Israel. In an effort to project the effects of a surface burst analogous nuclear contamination events must be considered. For example, immediately following the Chernobyl nuclear power plant disaster over 57,000 square miles in Belarus, Russia and Ukraine were dangerously contaminated. Even today, 26 years after the event, the Ukrainian government maintains a 1,100-square-mile exclusion zone around the damaged reactor that people are prohibited from entering. The smaller exclusion zone resulting from the recent Fukushima Daiichi nuclear disaster has been even more disruptive to the Nation of Japan due to higher population densities and the contamination of crops and pasture lands. In addition to the catastrophic blast and fires, ground burst of a fission weapon would have a similar contamination impact in Israel, a tiny nation incapable of absorbing one such attack, much less several. The conventional Jihadist suicide bombings of past Intifadas are reminders that gaining access to the heart of Israel’s urban areas with bombs was been accomplished, and could be again. Past attacks can be viewed as dry runs, with big bombs yet to come, perhaps to the U.S. as well. Unlike Israel however, the U.S. population and infrastructure can absorb such detonations without irreversible loss of national physical integrity. One might ask, why evacuate Israel to the U.S.? With regards to physical dilemmas, some observe that local competition for water and energy resources are to blame for many local conflicts, more so than international factors. The distant U.S. is irrelevant such disputes, and definitely not culpable. Yet, the legitimacy of the establishment of Israel has never been embraced by all, and any local issues are merely fuel on the fundamental question. As to the lethal tension created by that question, it will be argued below that more so than any European nation, America has an obligation to avert a 2nd Holocaust in Palestine. For reasons that follow, America must be the ally that provides the back door for the mass preservation of those who decide to leave Israel before, during, and after the coming conflicts of increasing lethality. Global polarization on the topic of Israel leaves her with few sympathetic ears, and survival aboard her land will become ever-less tenable. Some will point to Israel’s inherent right to exist as a fulfillment of prophesy. Furthermore, they will contend that her establishment has been meticulously planned since the late 19th Century. Indeed, the Zionist dream of a Jewish Homeland advocated by Theodor Herzl and the consequent Balfour Declaration provided a sound template. Unfortunately, one key component of that template was neglected in implementation. Herzl insisted that Jewish State implementation called for harmonious acceptance and integration in the indigenous Palestinian population as a precondition to establishment. This did not happen. Nazi Germany’s treatment of Jews in the Holocaust caused unprecedented urgency, and accelerated the imposition of the Israeli State in a partitioned Palestine. Haste and a lack of local acceptance seemed timely and just to the Allied victors, i.e. a lesser evil. Also, the focus on great 20th Century fascist and socialist ideologies caused a marginalization of Palestinian (much less Islamic) discontent. Indeed, Zionists violently secured their interests against indigenous Palestinians and neighboring nations around 1948, both conventionally and unconventionally. In the end Herzl’s key precondition was far from met. It is even less so today, and the disenfranchised opponents may soon be nuclear armed. Perhaps U.S. responsibility is partially our complicity in not asking enough questions of our Allies who had much greater insight into the Zionist initiative, such as England and France. We and the Europeans were also a bit racist in underestimating the capacity of underdeveloped Arabs to eventually resist such an imposition. The disenfranchised Islamic peoples of Palestine seemed incapable of credibly threatening the existence of Israel then or later by the projections of that time, and the state of nuclear technology made proliferation unimaginable in 1948. The complicity of the U.S. today is therefore not due to a conscious policy adoption, but rather a creeping mandate fueled by WWII haste. Seedling efforts that eventually led to the UN were followed by the Holocaust, causing a fateful rush to establish Israel prematurely. In this respect the Israeli people cannot be blamed for the dilemma they find themselves in. We placed Jews in a do-or-die context where there are going to be winners and losers. They have prevailed to-date, and understandably have developed a hypersensitive concern for security that aggravates neighbors who come to suffer from it. Then there are the Palestinians, many of whose parents lost homes and traditional lands at the hands of foreigners. As with any proud people this would cause a lethal rage for generations to come. One must question the quality of Allied thinking after WWII when we collectively discussed the fate of the surviving European Jews. They had just barely survived the Holocaust; yet in the smugness of a WWII victory we set the conditions for them to eventually face a new one. Nevertheless, the fact is that today the U.S. is most hated for the historical complicity, even if it inaccurately attributed solely to us. Some have questioned this statement and the origin of any U.S. moral responsibilities towards Israel. One can legitimately ask whether all segments of the American population would agree with such an assertion. In fact President Eisenhower took prompt action to squelch Israeli territorial ambitions in 1956 with a policy that placed America’s interests first in dealing with and responding to Israel. But Presidents since then have strayed from Eisenhower’s position, and evolved the strong U.S. commitment to Israel’s in-situ preservation into a touch stone of U.S. foreign policy. Our decision makers have talked us into this position for decades with a foreign policy that uncompromisingly defends Israel’s physical existence. If and when war and/or evacuation become necessary they will fall to us – not as a matter of national consensus, but as a reality for the President at that time. Today, America and Israel appear to be joined at the hip, and America’s military commitment to Israel’s preservation is taken for granted. In fact, today American foreign policy in the Mideast is perceived by the Islamic world to be one and the same as Israeli policy. Whether or not Israel and/or America are able to confront the apocalyptic threat of total war in a direct state-on-state confrontation with Iran or any other hostile neighbor is of less near-term significance. The promised barrage of conventional long-range rockets and missiles promised by Hezbollah and Iran may already threaten her foundations today. However, before such a confrontation the weapons technologies will likely find their way to unconventional warriors, whether Palestinian or other radicalized Islamic youth. As for U.S. responsibilities, there exists among them a common perception of a joint U.S.–Israeli policy that hardens as it did those who successfully infiltrated Israel as terrorists in the past. As for the responsibility falling or defaulting to the U.S. due to our national physical capacities, the following can be said. The U.S. is the logical candidate due to our superpower military capabilities, our beckoning land mass and infrastructure, and in no small part because 35.2% of the world’s Jewish population lives in America, more than the 31.5% that live in Israel. No other country comes close on any count. Also, the U.S. possesses the military know-how to lead a full-blown naval and air non-combatant evacuation of Israel; no other nation can or will do so. Commercial cruise liners and airliners are well understood, but U.S. planning, protection, and leadership are keys in an integrated effort. There are many who will dispute the wisdom of planning for Israel’s evacuation to the U.S. Many Israelis and Americans, both Jewish and non-Jewish will contend that the mere planning is an admission of looming defeat. They might hold that planning the evacuation of here young, elderly, sick, and incapable sends a clear message that are unable to guarantee Israel’s right to exist. Some will point to Iran’s long-standing threats towards Israel, and our contingency planning might have the unintended consequence of fulfilling that pledge. Others will insist that all Jews have an obligation to come to Israel’s defense in Israel and go to their deaths defending her, no matter the military outcome. Still others will point to Israel’s potent strategic arsenal and lethal capacity. They will contend that what Israel needs most is a U.S. guarantee that we will come to her physical defense, and not to send signals to the contrary by planning her evacuation. The U.S. will fight side-by-side with the Israeli Defense Forces (IDF) in confronting any existential threat to Israel. This is assured, as per discussions earlier. Any U.S. President would risk immediate impeachment for hesitating or failing to do so. The lethal capacities of the U.S. military and the IDF, and their determination to fight to the death are not in doubt. The issue at stake here is that in today’s world a small isolated nation cannot necessarily survive an assault by modern weapons of mass destruction. For Israel survival will mean much more than destroying the obvious military capacities her adversaries. To fight and reside in place it would require perfect homeland defense of her non-combatant civilian populace, which is unrealistic. Planning for a back-door evacuation alternative, at least for some, is therefore a rational and responsible endeavor. Then there are those who will say that peace has yet to be given a real chance through the establishment of a Palestinian State, and plans for war or evacuation are premature. No one would disagree that we should attempt with renewed gusto to achieve a good faith settlement between Palestinians and Israelis in the form of a Palestinian State. This could be reinforced with a U.S. condemnation of Israel’s settlement building in the West Bank in as much as it is counterproductive to negotiations. In fact, it may be in our national – and ultimately Israel’s – interest to join others in a rebuke of the status quo. It might send a constructive shock wave that is felt in the Israeli government as well as financiers of pro-Israel U.S. politicians here at home to modify policy in accordance with external perceptions. Giving peace one more chance, and with forceful determination is worthwhile, but time is also running out. Still, it is clear that Israeli West Bank settlements and the Government’s hesitation in condoning a potentially threatening physical Palestinian State configuration are not rooted in Israeli arrogance. Instead they are anchored in real security concerns. It is hard to imagine that Israel or any nation would compromise immediate national security interests just to satisfy a foreign audience. Their growing urgency is a direct reflection of the real threats they are facing. There are reports describing state and citizen initiatives to build bunkers in order to survive future confrontations with Iran, Hezbollah, and perhaps others. These responses are rational in light of a zero-sum gain dilemma, one in which the U.S. will never be perceived as an honest broker. Unfortunately, they will not help Israel’s most vulnerable citizens to survive emergent threats. Others committed to peaceful settlement have stated that the threat of nuclear or any other weapon of mass destruction being detonated in Israel by Palestinian terrorists is low to non-existent. This is because such weapons promise lethal effects across Palestine assuring fratricide by harming their own families, communities, and livelihoods. Assuming the argument is sound, this is the very circumstance that “foreign fighters” have and can be used to devastating effect in all communities. The hope for a peaceful solution remains, but the threat does as well. 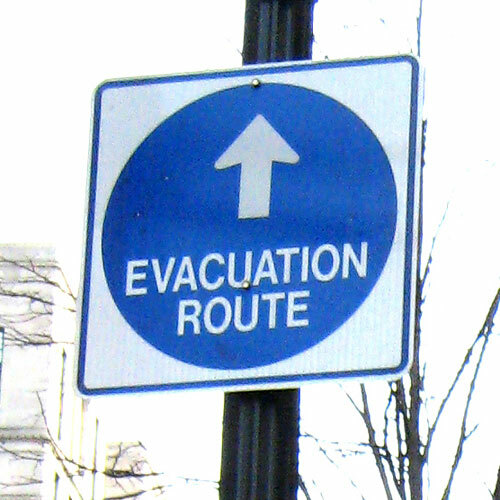 As a hedge against the uncertainty of the diplomatic outcome planning for contingencies, including non-combatant evacuation must proceed in-stride. The idea of the U.S. physically adopting Israel is not new. Some have suggested a nation within a nation solution, where the Israeli people possess lands, the resident natural resources, and political sovereignty (personal communication from John Uldrich, 2002). Alternatively, a federal-like construct can be conceived whereby semi-autonomous Israeli communities reside aboard granted government lands, with self-governance rights resembling those afforded states. The lands could be a combination of developed areas having preexistent infrastructure such as military bases, and remote areas that would permit larger cohesive populations, but require more work and resources, such as the extensive government tracts in southern Utah. Finally, the massive assimilation of Israelis who already possess dual citizenship or have family in the U.S. will ease the difficulty initially. All opponents of planning Israel’s evacuation are in their own ways correct. Recognizing this, for the interim America must reinforce the IDF and come to Israel’s defense in spite of the potentially devastating consequences there and even here at home. In fact fighting for the preservation of status quo Israel will be a key for maintaining American foreign policy legitimacy into the 21st century. Still, exponential developments in technology and its ceaseless proliferation to state sponsors like Iran mean that the rage of state sponsors of terrorism and the disenfranchised youth budge in Palestine and throughout the Mideast will come to threaten Israel’s physical existence very soon. Given this apparent inevitability, once non-combatant Israelis have been relocated to the U.S., those choosing to remain will be able to defend the land of Israel with a freer hand, and to a great extent fearless of local consequences beyond military considerations. Even before the first shot has been fired in an escalating conflict, the credible existence of this back door for Israel’s children, elderly, sick, and those who choose to leave voluntarily will have a profound psychological impact on all her adversaries. Terrorists will lack the target rich environment they are accustomed to, and find themselves facing a thoroughly militarized Israeli foe. Iran and other states may also have reason to pause as they find themselves at an asymmetric disadvantage as having the only vulnerable populations in a mutual assured destruction stand-off. Looking back, Israel’s covenant is a consequence of her worthiness before God, and the land was a gift. But the land, while holy, is not the actual life of Israel. The Torah makes clear that Israel is in fact the blood of her people. Her continued worthiness as a people and the credibility of our U.S. foreign policy depend on our willingness to use our God-given reason and plan for the worst case contingency, not to preserve the land, but definitely to preserve Israel’s blood. In 2006 he voluntarily deployed to Iraq. There he became aware of corruption within the Quantico support establishment that cost many under-equipped Marines their lives. His subsequent disclosures to the OSD, Congress and the press contributed to dramatic life-saving improvements in rapid acquisition. Next Post Our leaders explain that we’re sheep. Our role: to obey. Rebel sheep will be imprisoned or destroyed. I once wrote a post titled “Is Israel Ready to Receive Seven Million American Refugees?” (11 November 2010) about how the US will, just like Europe before it, turn on the Jews and blame them for its problems. If Israel attacks Iran and oil shoots to $200, how many Americans will blame Jewish-Americans instead of Muslims? There will be no plans for evacuations, America will simply wash its hands of Israel when its done with it. Despite your warnings about the US, I think we can avoid boarding the lifeboats. Since the 1940′s inflation, or negative enrichment, has been persistent and it is taking the dollar to the zero level; anyone who sees deflation in the current conditions does not know what he is talking about, anyone who thinks deflation is a negative phenomenon is completely ignorant of history and its lessons. The US dollar on its way to zero! Lions and tigers and bears, oh my! However in the real world the US dollar, measured by the broad trade-weighted index, is 98 — right where it was at the start of the recession. The index is set so that January 1973 = 100, with the dollar declining a whole 2% over almost 3 decades. Also, this post opens with a quote about economics from Mike Shedlock — an indicator that reading further is a waste of time. More important, one of our worst problems is the overvaluation of the dollar. For details see The falling US dollar – bane or boon? Thank you for taking the time to read my posts, it means a lot to me; I’ve been reading your articles since the first one on Defense and the National Interest. I realise how absurd some of my predictions sounds, but I don’t write about current affairs, I write about history; history of nations is measured in decades not in years. Thank you for your elegant and generous reply. I apologize for misreading your post with the Shedlock quote. Anyone who take up the struggle against sources of misinformation deserves our thanks! What a horrible prospect. We should offer up some sacrificial soldiers as well so they can be beheaded to appease the aggrieved Muslims. Blame? Blame the UN for giving the nation of Israel her charter. Charming. You are in effect saying that we should continue to arm Israel, and allow Israel continue to expand into the West Bank. That freezes the US into perpetual and growing hostility to the growing Arab and wider Islamic worlds — and abandons the great post-WWII American effort to build an international order based on something other than war. We seem to be taking your advice. I am confident that you will find others to blame for the resulting decline of America — and the wars — to come. I was going to post some speeches by FDR from WWII, and from the great post-WWII stateman (like Marshall), about our dream of establishing a just order. Using our power to build an alliance of nations to take the world away from its past of war and misery. But silverfiddle appears to speak for America today. A nation sinking into worship of force, love of killing — and belief that through strength alone comes prosperity. There are grounds for hope. We may have successfully planted seeds in other nations, so that they can continue the work that we’ve abaondoned. Japan, Europe, perhaps China and the emerging nations — they may have abandoned war as a tool of statescraft. The world of the 21st century might be a better place, despite America. Let’s hope that getting there will not require other nations to ally against America to produce peace. I speak for respecting the sovereignty of nations as recognized by the UN. You know, that body that the internationales like to point to when berating the US or other nations not popular with the international dictators, torturers, rapists and perverts that staff the human rights councils and fill the ranks of international rapporteurs. I grant you, it’s a dicey situation, but if that article is serious, it would set a horrible precedent. So you are for ceasing to arm Israel? Seriously? Even as her neighbors continue arming up? We may have successfully planted seeds in other nations, so that they can continue the work that we’ve abaondoned. Japan, Europe, perhaps China and the emerging nations — they may have abandoned war as a tool of statescraft. That is to our great credit, and you know what? In the case of Japan and Germany, we had to kick their asses to get them to abandon warfare. I am not for nuking the Middle East or for us taking any more military action there. I think we need to get out. But the problem is there is no motivation for Israel’s enemies to shake hands. OK, I’m confused by your ommments. You gave what read like a rousing defense of Israel’s aggression against its neighbors – esp the West Bank, Gaza, and Iran. Now you mention other things that you imply are implicit in your original comment. Me, too. Which Israel is violating in many ways. I don’t understand what you mean by “it” in this context. Israel’s expansion — and the associated attacks on other nations, without UN authorization — are possible only with our support. We are accomplices to these actions. If Israel wishes to continue these policies, then let them do it without our support. Their neighbors would be fools not to “arm up” with such a neighbor. So you believe that we need to “kick the asses” of every nation in order to establish a just world order. I think not. Or perhaps you’re saying only someone kicking Israels’ asses will stop their expansionistic policies. That might be so, but I doubt it. How nice of you; they’re grateful, I’m sure. Do you except the various nations in which we’re fighting: Afghansitan, Pakistan, Yemen, and (a bit distant) Somalia? Do you say that by using the Force or some other psychic power? You start from the premise that Israel is the aggressor, which is a whole debate within itself. OK. So how do we get everyone to stop fighting and protect the freedom and safety of all? Evacuate an entire country? Yes, it’s a clean solution. It’s your blog, so be as smartass as you want, but indeed there is no motivation for peace, as everyone from the Brits to Jimmy Carter to Bill Clinton have found out. It appears intractable. I will grant you that this article provides a path for us to wash our hands of it while also salving our consciences. Will we do the same for each subsequent non-Muslim community that gets in the way? Just asking. This would set a precedent. Everything is a debate to one who has shut his eyes. Israel’s aggressive expansion to the East is a fact, well-documented, of the past several decades. This is an example of “the perfect as the enemy of the good”. Your goals are larger than mine. Stopping our support for Israel’s expansion should be done IMO because we’re an accomplice to their illegal and disruptive actions. Furthermore it is a step towards peace, but does not produce peace. Only the people of Israel and its neighbors can make peace. I’ve given measured replies to your statements, based on quotations of your words (you might try replying to quotes). You don’t like them, but this kind of name-calling is not a meaningful rebuttal. If anything, it shows the lack of one. This reminds me of an obscure bit of history that maybe most people are unaware of. The USA planned an evacuation of Finland to America during the 1940 war with Russia. I didn’t happen. The plan became controversial in Alaska and Finland signed the peace treaty with Russia. Wasn’t this a Tom Clancy plot? What would be the point of giving a nuclear weapon to terrorists? You lose control of something that cost you billions. Are you giving it to them to not set it off? if you intend it to go off why not have your experts do it? Who can keep that big a secret? How much would Israel pay to know there was a nuke hidden at # 14 Hezbollah St, Beirut? Who in your terrorist organization could you trust with a potential reward of tens of millions from Mossad? You give it to people you can’t trust to operate it correctly?- Suppose it goes off early? Suppose they use it to blackmail you? Suppose they decide they have a better target than the one you picked? Say the King of Saudi Arabia? There will be no deniability. No investigation. Your country will get leveled. I agree. The fear that Iran would give nukes to terrorists is absurd. For details see Stratfor debunks myths about nuclear weapons and terrorism. No, it was not. In The Sum of All Fears terrorists find a lost Israeli nuke, and hire a renegade East German scientist to rebuild it. But they kill the scientist before he finishes (they thought he was done), so the bomb creates only a small explosion. No state-sponsored nuke terrorism. Clancy writes realistic fiction, not wild fantasy. Additionally, the art of nuclear forensics is very advanced. Given samples of fallout or often just by the yield, it is possible to not only identify the design of the bomb but breeder reactor and the centrifuge cascade it came from (and which run!) (For more information on this topic, read The Nuclear Express: A Political History of the Bomb and Its Proliferation by Reed and Stillman, 2009) Any nation giving nukes to terrorists would be fingered very quickly and destroyed shortly afterward. The scenario that works for a “rogue nuke” would involve one being stolen or released without authority. Presumably, if they wanted to survive, the nation that owned/created the bomb would be loudly and publicly doing everything possible to recover/prevent the attack. You are right, regardless of rage and rhetoric, no state like Iran would want such a transfer of nuclear weapons as that leads to a total loss of control. Actions by unmanageable extremists would in fact lead to the downfall of the regime through attribution and war . Whether it is acknowledged nuclear powers such as Pakistan and the U.S., or up and coming nuclear powers like the Iranians and the other Middle East states – the others Iran will find herself in an arms race with – nuclear techniques, technologies, fission fuels, and assembled weapons will be the most tightly controlled state items and secrets. Still, technologies and weapons finding their way into the hands of those who would use them unpredictably doesn’t mean that such transfers are deliberate state-level decisions. Proliferation is often chaotic and headless, fueled by regional abundance of related experts and technologies. Iran may soon have nuclear weapons. This will probably encourage a regional race to maintain a balance of power, bringing with it an increasing number of military folks and industries having access. Again, “finding their way” will probably be anything but an attributable state action. But we saw immediately following the Cold War – due to vast surpluses – that some materials and technologies of the old USSR found their way into the hands of criminals and mischief makers. Do we know today if similar materials are available through the Black Market? As Secretary Rumsfeld often suggested generally, we don’t know what we don’t know. The probability is higher than zero, and with a coming race in the Middle East perhaps it will become dangerously higher than zero. Complete weapons are not out of the question, for profit or for ideology. Abdul Qadeer Khan’s more recent activities on the intellectual front fit the same opportunistic mold. We can learn from this recent history of less predictable nuclear proliferation. Acquisition does not need to be the deliberate objective of a disciplined organization like Al Qaeda. Instead, an enraged Palestinian youth (or foreign fighter) with an obligation to fulfill a blood debt having the focused determination and intelligence of a Timothy McVeigh will achieve the same ends. The final bit of urgency is the impact of ever-greater general access to affordable “exponential technologies”. What can be said is that what used to be extraordinarily hard, and limited to the resources and capacities of industrialized states, is in key areas now quite simple, and getting simpler. I was fortunate to be able to attend the Singularity University founded by Ray Kurzweil and Peter Diamandis last year. In GSP-11 we learned how responsible, rational people can employ those rapidly advancing technologies for generating goodness and abundance for humanity. I retain some pessimism, and believe a few will settle blood debts using the same. Massive disruptions (like a tragic attack on Israel) will surely surprise us much sooner, and this was the purpose of my paper and my suggestions to act on seeming inevitablities in advance. What? Until 1967 virtually all countries, except France, were sure Israel’s days were numbered. US administration, although morally favoring Israel, was very fearful of outright support of Israel due to Soviet-Arab relations and for fear of being seen as complicit with Israel after Israel is destroyed. 1967 was won with Israeli, French, Chzeck and WWII surplus weapons. I stand by that comment. If we really believed that Israel’s days were numbered I cannot imagine that we would have voted to establish her, at least there at that time. A UN committment carries with it an obligation for possible enforcement and this impacts the voter’s national self-interests. Israel has never disappointed with respect to her martial self-sufficiency, but we almost found ourselves in a much larger confrontation in 1973. Our mission-commitment creep really progressed after that point. Still, we have underestimated the indigenous Palastians and Israel’s neighbors throughout. The challenge was always “manageable” due to an assumed military superiority. You are right in that any Arab military capacity was transparently Soviet capacity. Even if one can sincerely say that our attitudes were not “racist,” i.e. predisposed to dismiss Arab potencies, that perception of us by Arabs is quite real, and actionable today, especially by the disenfranchized. The premises of this article put me off as wildly unrealistic. Is there a single historical example of a weapon of mass destruction (whether Atomic, Biological, Chemical or Radiological) that ever fell into the hands of or was deliberately given to an extremist group? I cannot think of any. The rare cases of extremists launching an attack with WMD (including that Japanese sect and its sarin gas) were groups that had hacked their own weapons with whatever basic materials and knowledge they could acquire. Atomic bombs and biological weapons are the preserve of large, well-funded and organized governmental projects with heavy-duty infrastructure. Chemical weapons are easier to produce, but are quite difficult to deploy effectively. Radiological weapons require a supply of suitable radioactive substances, and are consequently tricky to build (with highly radioactive substances, small amounts of matter are effective, but will kill the perpetrators before they have time to deploy it, low radioactive substances will require amounts that are too large to pass undetected). The booby traps in Iraq and Afghanistan demonstrate that one does not need WMD to exhaust a superpower militarily. While I agree that its unlikely that a State would deliberately giving WMD to a private group (whatever they’re called). But WMD could “fall into their hands”. 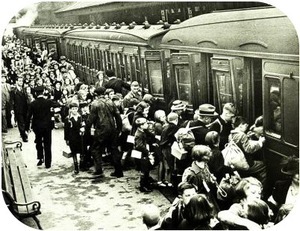 The Subway Sarin Incident (see Wikipedia) shows that a group can build their own. Materials could be stolen that allow a group to construct a weapon (the plot of Clancy’s Sum of All Fears). The era of 4GW and WMD is too brief to say what can and cannot be done. Nuclear weapons have a special place on any wish list. They are and will remain for the foreseeable future the highest energy density explosives available. They are the very definition of potency as it pertains to generating fear and respect. Biological weapons much less so. Even if they are ultimately made to be more lethal, they can have immeasurable unintended consequences, and generate no awe – no CNN moment. Superpower-exhausting field expedients buy time, but decisions require bigger bombs. So, the determination to obtain nuclear weapons will only increase generally, but particularly amongst the least rational/the most enraged – those with the deepest scores to settle. So many of Israel’s enemies appear to be especially engaged and motivated, but at the street level, the level where VADM Cebrowski’s prediction of individual superempowerment is so pertinent. We must recognize that history is accelerating as a consequence of technology. The fact that there may not be known historical examples of nuclear weapons falling into the hands of extremist groups is becoming less relevant. When we accept the technological trends and growing surpluses as facts, looking to the past as a template for predicting the future of proliferation, with or without deliberate state participation, could blind us to the urgency. There are historical precedents for concern of nuclear weapons availability. As shared with M Shannon above, immediately following the Cold War – due to vast surpluses – some materials and technologies of the old USSR found their way into the hands of criminals and mischief makers. Abdul Qadeer Khan’s more recent activities on the intellectual front fit the same opportunistic mold. Given the larger set of current circumstances in the Middle east, with Iran’s threatened bomb development being just one piece, accelerated Middle East proliferation would seem to be inevitable. The real urgency comes from ever-greater general access to affordable “exponential technologies”. What used to be extraordinarily hard, and limited to the resources and capacities of industrialized states, is in key areas now quite doable with modest resources and intellect, and ever-less detectably. With Israel in particular, surprises will come much sooner; the purpose of my paper and my suggestions to act in advance. The (surprising and welcome) answers by the author (F.Gayl) do not dispel my skepticism with the underlying reasoning of the article. Isn’t this a kind of symmetric reasoning, typical of state organizations? This does not apply to the splintered and means-strapped “enraged Palestinian youth (or foreign fighter)”. 4GW has been mentioned; this has resulted in completely asymmetric, cheap, and effective means of retaliation, and they generated so much “fear and respect” that entire societies (e.g. USA and Israel) have become geared to address those threats. While proliferation of atomic weapons has been tortuous, occult and widespread, it cannot be described as having been chaotic and headless. All parties taking part in it had consistent, long-term projects, lasting longer than the governments or even the regimes that started them — mastering that kind of technology is a difficult, large-scale endeavor (as Iran demonstrates). Iraqi forays into it were interrupted by war and sanctions. And none of it resulted in any clandestine group developing its own WMD. The example you cite is Abdul Qadeer Khan, whose dealings were with governments — Pakistan and North Korea. There is a meme that one can find the plans for an A-bomb on the Internet, but this does not make it true, nor, if true, does it turn the idea into a realistic engineering prospect. As far as I understand, one key area in A-bombs is detonators/firing mechanisms — which require a lot of specialized know-how. And if what happened in Syria a couple of years ago belongs to the proliferation scene, then it shows that this kind of activity is nowadays exceedingly difficult to make undetectable. absolutely none of the circumstances prevailing in the past applies in the future is a much bolder claim that requires substantially stronger evidence. But this was not the main point, only the premise of the article. The Israeli could ask the US army for advice. They have great deal of experience about evacuation after a catastrophic one in Vietnam and another one to take place in Afghanistan very soon. After 10 years, 150,000 troops were unable to prevail over 10,000 backward militants and their Kalach arsenal…. This tells it all about Fabius Maximus’ credibility. Please note the very first line of this post: “This article by guest author Franz Gayl (Major, USMC, retired)…” Rather than credibility, let’s talk about reading skills. You refer to operation Frequent Wind (see Wikipedia), the evacuation of roughly 7,000 people from Saigon in 29–30 April 1975. How is that relevant to the kind of mass evacuation discussed in this post? (3) In what way is Zyx’s comment a rebuttal of Gayl’s post, or even challenge his “credibility”? It does not even seem relevant. As a passing reader I miss two things. Firstly, there is an argument for US responsibility, but where is a discussion of US national interest? In this way is it not broadly similar to “Responsibility to Protect”? Secondly, as van Creveld reputedly remarked : “We possess several hundred atomic warheads and rockets and can launch them at targets in all directions…. We have the capability to take the world down with us. And I can assure you that that will happen before Israel goes under.” Can a discussion of Israel and mass destruction be sensibly approached without framing within the so-called “Samson option”? Would evacuation go hand in hand with forestalling of such? 1. The Covenant Renewal Ceremony (represented by the book of Deuteronomy) stipulated the conquering/taking possession of the promised land (Deut 1.21; 3.20; 4.1, 22). 2. The book of Deuteronomy goes out of the way to make the point that the land was given to Israel not because of Israel’s worthiness (Deut; 4.37; Deut 9.5-6), but, rather, on account of the Fathers (i.e., the divine promise to the Patriarchs [Ex 6.4; Deut 1.8; 6.10, 18; 8.18; 10.11; 11.9, 21; 12.1; 19.8; 26.3, 15; 27.3; 28.11; 30.20; 31.7, 20]). I am always looking to learn, and I am frequently wrong, so I appreciate your research and insights. I have read the Torah several times, and the Pentateuch with commentaries, all cover to cover. They all appear to indicate that Israel’s worthiness was and is indeed a prerequisite to reward. In fact periodic demonstrations of unworthiness throughout her history (occasional returns to polytheism of the sort that led unbelieving indigenous people to perform child sacrifice, and other violations of revealed law) had consequences, including exile – however temporary it might have been. If this were not true Israel would be perfect in perpetuity, and being unfailingly righteous she would have never left after the initial occupation. No adversary could conquer her in such a state. However, Scripture tells us this is not the case. Also, periodic displacements and other suffering served, as I read it, to re-strengthen the Hebrews in a positive, God-fearing way. Not that such a new displacement is warranted now, but I did not see a occupy-or-lose timeline associated with the Covenant. So, perhaps future possession in God’s perception is much different than ours. Time for God cannot be understood, and we are sure to err in interpreting it. I saw no prophesy reference to 1948 or any other date in my studies. Nevertheless, maybe I missed something and I could be wrong. I am certainly not a theologian of any sort – not even close, just a concerned American citizen who perhaps reads too much for his own good. One thing that is stressed throughout Scripture, and even the Qur’an for that matter, is important here. As a component of free will we were created with reasoning ability, and we are encouraged to use our reason. With life residing in the blood of both animal and human (very clear in Scripture, even back to the seven commandments of Noah), so too the blood of a people is the life of a people. If the Israeli people are destroyed in Israel even after seeing the writing on the wall, then that is not acknowledging the reality festering around her – a failure of her and her allied civilizational cousins in America to use their reason. If a second Holocaust occurs in the land of Israel what is gained? It is true that God replaces peoples with new peoples as he wills. But our joint failure (U.S. and Israel) to act on obvious trends and warnings is a complete failure of our use of the gifts given us, a scoffing and frankly arrogant assumption that we (actually Israel) are/is somehow worthy of divine intercession, a magic act for which there is no prophesy or authority. Some will see it through apocalyptic lenses, even point to Revelations. This is not logical – can’t be reasoned from observations. Tensions between Israel and her neighbors are based on many things ranging from geopolitics to competition for local water and energy resources in and across Palestine. Also, there is great despair amongst disenfranchised Palestinians who were treated very inconsiderately at the time of Israel’s most recent establishment. These conflicts, while quite lethal, have nothing to do with the inherent goodness or badness of any antagonists. Plenty of blame on all sides, and plenty of sympathy for all sides. If one considers Revelations and even the Day of Judgment we are even further from any Scriptural significance in the building pressure cooker. The bible speaks to the final battle of belief versus un-belief, between the God-fearing and the hypocrite, etc. But what do we have in the foundations of those antagonists? One-God-conscious and devoted Muslims and One-God-conscious and devoted Jews. Throw in the One-God-conscious and devoted Christians and you have a great tragedy – the various seeds of Abraham so devoted to the One God arguing about that which they have in common. Scripture predicts such conflicts, but this is not the end-game. If Israel and the U.S. do not cooperate and plan to relieve the pressure cooker in a worst case escallation of our own collective doing we will all get hurt. We will have failed to use our God-given reason, a sin indeed and quite avoidable. If I misunderstood your comments or went too far by reading into things, I appologize – I just gave it my best shot. There is non-negligible (methinks: quite high) probability that this is just posturing and that no “Samson option” will be activated. The apocalyptic scenario is based on the view that in case of defeat Israelis have nowhere to go and face unavoidable annihilation, none of which is proven. Besides, human beings have an irremediable tendency to hope and take the path, even the slimmest one, to survival. Placed in a situation where Israel is at serious risk of losing, its inhabitants will do the fairly natural thing: decamp across the Mediterranean to Europe to rebuild their lives elsewhere (many Israelis carefully keep a dual citizenship anyway). The elites and GHQ will be among the first to escape; since they want a chance to survive, they will have taken provisions to make sure that their atomic arsenal gets rendered unusable before their departure — other powers will not hesitate to expend their reserve of bunker-busters to make sure the neutralization of Israeli nuclear infrastructure is complete. On the other hand, the remarks of van Creveld about the ethnic cleansing and mass deportation of Palestinians out of all occupied territories are much more darkly realistic in the medium term than a mass evacuation of Israelis to the USA. I actually wonder why we are discussing the implications of the latter scenario rather than the former one. I guess I too am suffering from a lack of realism, in assuming an ideal form of relief of the pressure cooker before the darker scenario you mention were to occur. You are right, such a a cruel alternative is also possible – I just don’t want it to be so. I never felt that Europe would be willing to take back their émigrés, but that too is an option and one as you suggest that may be more executable, I don’t know. All I do know is that the pressure cooker with all its rage and desperation continues to build towards explosion. So, I felt an obligation to say something, even if it isn’t the answer in the end. At least it starts discussion. Thanks for your feedback and observations. You are now saying something different than you said in your article. Of course Israel’s worthiness was/is a prerequisite to/for reward—the Siniatic Covenant stipulates as much (obedience to the covenant is repaid with blessing and disobedience is repaid with curse). But this arises from the covenant; it is not the ground of the institution of that covenant (please see my initial comments for that ground). I would love to hear a citation from any critical exegetical commentary which posits the thesis that Israel’s worthiness was a prerequisite to the Siniatic Covenant! I find no date or year (like 1948 either). But then again, I find no calendric dates/years in the biblical text at all (for any of its prophecies). So, this really isn’t an argument pro nor con. What I do find interesting however, is that if one pours over writings from the 18th and 19th centuries (including biblical commentary), everyone is seemingly convinced that all of the prophecies which seemed to indicate or imply concrete repossession of the promise land, on the part of Israel, must needs be rejected or, in the case of theology, (re)interpreted “spiritually.” (i.e., they are spiritualized so as to not necessitate a return to the promise land). Few stood by the biblical text and said that one day Israel would once again possess the promised land so that the prophecies could be fulfilled. Of course these illustrious few were proved correct as indicated by the events of the 20th century (esp. post 1948). I can tell you this: Israel will be in possession of the promise land when Kingdom comes. She will be besieged (esp. Jerusalem) by all world-powers. She will be victorious, ultimately, because she will receive divine assistance as prophesied in Zechariah and others. You can deport and evacuate all you want, they would just stream back at a future date. The counsels of the Lord shall stand. If you “ain’t buying it,” that’s fine, “cuz I ain’t sellin’ it.” It’s simply God’s word on the matter. Sounds like a divine comedy to me! Thanks for your comments; they are very helpful for me, I guess I don’t understand Scripture as well as I should – probably should have left the last paragraph off of my article to avoid this. All I want to do is find a relief valve for for a Middle East pressure cooker. New oil sources and alternatives to oil are of course one means, but a life-preserving, appocolyps – avoiding alternative to the Israel-Arab status quo is clearly another. Definitely the lower geopolitical realm of nations, kings, and rulers – divine comedy yes, but a potentially bloody tragedy as well. That is my only purpose for me writing the article. Anyway, thanks again. The POTUS being impeached for failing to send US troops to fight alongside IDF forces in country with which we have no formal treaties and therefore does not fit the formal definition of an ally? Well, considering that Tel Aviv seems, more and more these days, to be the capital of Washington DC, you might be right. The Palestinians, who I have no doubt would love to see Israel disappear from the map, commit national suicide by setting off a nuclear device in what would become their front yard? Nothing like burning down the house to get rid of the mice eh? Sounds more like Mesada. The US has not come militarily to Israel’s aid in the past, at least not directly, and I think it a stretch to assume that that would change now. Some still remember the USS Liberty. Beyond that, one merely has to look to the MS St. Louis in 1939 and FDR’s “immigration limits” to get an idea of the US’s likely response to such an unlikely scenario. One wonders though what the far-right US Christian fundamentalist reaction would be? They seek the immanentization of the eschaton, but that takes place with God’s chosen people reoccupying all of the Promised Land, not fleeing from it. Their support for a mass Israeli relocation becomes questionable and it is actually not too far a leap to see them shipping off in droves, like the Abraham Lincoln Brigade, or the Crusades, to carry on the fight…again if are to consider what I think is a most unlikely scenario. They would be poisoning the very land which they claim God promised to them. The whole Muslim vs Jew thing is about the rightful ownership of the land God promised to Abraham. Where do you suppose poisoning this land with a nuke would put them with God? By the same token, devout Jewish Israelis would pretty much refuse to leave, since they’re already where God wants them. The secular Israelis who just want to live their lives in a nice place wouldn’t want to come to the US anyway. Speaking stricktly as a Native American, we have been present since long before the “Jews invented themselves” long before the “Christians and the Muslims” or any others—that any “people” would take the ancient myths written by “unknowns” of fictional “Gods” and their “Sons or Daughters” or their “prophets” is to “us” such an absurdity that those who would be so foolish as to do so; deserve everything they bring on themselves and extinction is their future. Life on the planet will still prevail; humanity can either learn to live in harmony with their planet and each other; or become extinct. Without those changes——Who will miss them? This is madness, particularly when a real solution is at hand. Recall that, until Israel began incorporating territory taken during the 1967 war, there was little violence. The violence essentially began in 1970 with the advent of the policy to occupy and hold East Jerusalem, Golan Heights and West Bank and Gaza and the consequent despair of the Palestinian people. As for Iran and nuclear weapons, Iran is no doubt aware of what happens to countries that are not compliant to USA demands and which renounce strategic weapons programs – they get invaded. Israel ends the occupied territory – East Jerusalem, West Bank, Gaza, Golan Heights, every square millimetre, thereby meeting its obligations under international law. The international community declares and effects, with appropriate inspection regime, the entire Middle East to be a nuclear free zone. I believe that Israel and Palestine would quickly develop a harmonious, positive relationship. Some might say that this proposal is utopian. Implementation would be difficult; however, the alternatives are absurd, as that suggested in the article, or terrible beyond words. As for the Canadian Flag rendered in the article, Mr. Gayl is well advised to know that Canada has the means to defend itself from the USA in general and from the USMC in particular; it won’t be a walk in the park. Interesting. 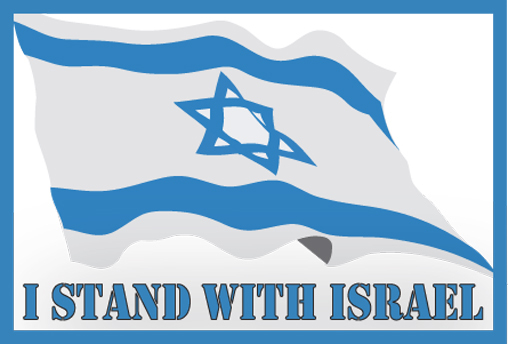 This web site shows a graphic proclaiming “I Stand With Israel”, yet this author’s entire intent is to attempt to show Israel’s claim to its land is illegitimate. The irony of that is amazing. The author goes on to claim Israel is being aggressive when it seeks to continue building on the West Bank and elsewhere. As if Israel had no right to do so, and is being an intransigent child for insisting on that right. He also speaks of the notion that Iran or other muslims wouldn’t attack Israel with nuclear weapons simply because they would also kill some of their own people. What absolute crap. He is talking about animals who think nothing of strapping explosives on to their own retarded children and sending them out to kill other women and children, but he remains certain they wouldn’t nuke a few of their own people. Muslims who kill their wives and daughters at whim, who behead their own young men for possessing cellphones. Franz, I’m afraid you are a fraud. If this is your web site, it is a sham, pretending to care about the Israelis while actually being an apologia for those who want to drive them off of their homeland. Although you never bother to mention they were driven off of it more than a thousand years before these fake “Palestinians” – people who would have been Jordanians if the muslims didn’t hate each other almost as much as they hate the rest of the world – decided to run a few goats through the area. Do you happen to keep a small shrine at home for an autographed copy of Mein Kampf? The graphics were added by the Editor (guilty! ), not by the author. That’s typical in the news media, and that practice has been copied here. Thanks for your helpul feedback. As you probably saw this morning, the editor of Fabius Maximus noted that he had inserted the graphics for the article on his own. I have no objection to what he inserted, and in fact I do stand with Israel. But if you notice in my article I recognize Israel as the blood of the people of Israel as a practical matter, rather than the land on which they reside. Indeed, the land is a source of sustenance, but it is increasingly a zone of physical danger. That is the purpose of my article. As for blame, there is plenty to go around. Israel’s adversaries, Israel herself, Israel’s European sponsors of premature establishment, or the U.S. that through actions and inactions as a sometimes reluctant but always effective enabler of aspects of tensions – all have a role. In the case of the Palestinians, yes, I do attempt (however inadequately) to stand in their shoes when I comment on them. The same I do for Israelis. Neither party is really at fault for the current situation. We (Europe at the time) placed them in this situation through premature establishment of Israel in 1948, without having first achieved the full cooperation/acceptance of those already living there. So now the totally disruptive force of technology and WMD know-how and material proliferation has aggravated the unresolved tensions to the point of an existential threat. Here legitimacy or illegitimacy are less important than the stark physical and emotional realities. It is what it is, and only big muscle movements rooted in realpolitik can mitigate – evacuation options, mutual assured destruction tools, or best a combination of both. Just the planning and preparation will have a sobering effect on all, as per my article. As for the hesitancy of Iranian leaders to use nuclear weapons if that would bring certain death to their own populations, I remain convinced of this. Many in Israel and elsewhere view Iran as a rational state. Just as it was effective in deterring the U.S. and the USSR during the Cold War, Mutual Assured Destruction can be predicted to be at work in the mind of Iran’s decision makers. Proliferation through state sponsorship of terror is possible, but that too might have unintended consequences as WMD forensics and attribution are sobering realities in MAD calculations. However, as per my article it is still possible. As for the reluctance of even Palestinians to do undo harm to their own communities, by the indiscriminate use of WMD in and around Israel, I think that is reasonable. There are homicide bombers who have shown a total disregard for the identities of their targets. But I don’t think we can discount the built-in family/tribe/clan/community preservation instincts of any people, especially when it comes to WMD that will have far-reaching effects. I may be wrong, but I am fairly certain it is present. However enraged or misguided, I don’t agree with you that they are “animals” – they are definitely people. This is where militant foreign fighters fill voids, bringing with them an uncaring ruthlessness in fulfillment of their aims, where locals might hesitate. What I am trying to say is that even if all parties in and around Israel thought and acted rationally, the militant threats to her existence will persist. I actually do care about the Israelis, very much so in fact. I am not pretending. I also care about the nations and peoples with whom Israel finds herself in and escalating conflict with. Both Israel and her adversaries find themselves on the horns of a dilemma, and not one entirely of their own doing. As I noted in my article, Israel the country was established by Europeans in haste, without the prerequisite acceptance by neighbors that might have led to a lasting peace from the beginning. The U.S., however unconsciously, has now inherited great responsibility, if only through our superpower capacities. In caring about both I recognize that the larger contextual circumstance of technology and WMD proliferation are trends that are unstoppable. The tense status quo will cause that context to be exploited by the most militant antagonists, in this case irrational, murder/revenge-bent terrorists. Everybody loses; a preventable tragedy. You are right, Palestine and Palestinians are an artificial national identity, something resulting from the European carving up of the Islamic Mideast. I used the term because it is familiar, referring to the population that the original 19th Century Zionists might have referred to as indigenous inhabitants of the land proposed for an Israeli state. In response to your question, I don’t have an autographed copy of Mein Kampf. I am part Jewish from both my parents, and even if I was inclined to build such a shrine I don’t think my family would approve. They would probably find it extremely offensive. In order to alleviate any concerns I too find even the notion of such a thing offensive. So, I wrote this article in all sincerity, not choosing a side, but rather with the intent of avoiding predictable bloodshed. If you still think I am a fraud there is little that I can do about that. All I can do is look in the mirror and consider what I could have articulated differently or better in my article. It was previewed and critiqued by many prior to posting, but clearly I must have missed something based on your comments. Whatever its value, it was meant sincerely with the limited knowledge and writing ability that I possess. Anyway Reg T, thanks for your helpful observations. All valid points! I believe, however, that Major Gayl proposes that we plan better in the future than we have in the past. Growth and learning are inherent potentials in both individuals and societies. Let’s not assume that we are exceptionally unable to do either! I’m not buying it. Even “non state entities” have to set up shop somewhere. Americans seem to have the unique mindset that all of our “enemies” are insane and want to commit nuclear suicide. Israel has the Iron Dome and their own nuclear arsenal. Any attack not only runs the risk of failing to cause any damage – but immediate retaliation from the Israelis. Even if there was an organization insane enough to risk this – the government in that region would have have every motivation to prevent that attack from taking place. Getting ahold of a nuclear weapon isn’t as easy as it is in the movies – even with advances in technology, I don’t think it’s likely a lone wacko is going to be able to acquire a nuke – let alone be able to avoid detection by both the Israelis, and his own government. Even if Hamas somehow acquired a WMD – would they really use it against Israel? Or would they use it as a bargaining chip? Hamas has shown no suicidal tendencies. Isn’t self-preservation the main goal of any governing authority? Much more significant than the constant hysteria over WMDs is Israel’s increasing impotence at conventional warfare. They have the place surrounded, a full blockade, and total fire and air superiorty – so it’s a cake walk, right? Nope… Israeli military casualties – 56 dead – 13 dead in one firefight alone. Yes, they’ve killed over a thousand Palestinians – but mostly through indiscriminately bombing civilians. They seem to be performing pretty badly when it comes to actual face-to-face combat. I agree. As described in The Fate of Israel, they face a combination of slow deterioration of internal and external strength. Increasingly numbers of Arabs domestically, eventually making Jews a minority in their homeland. Surrounded by increasingly powerful enemies. Decreasing support from ever-fewer allies. It’s a process with many possible paths, but one likely outcome.